I'm nine thousand foot up, preparing to land on open ocean." That's the kick-off from an epic new ad series launching today from Airbnb's latest "Love this? Live there" campaign—the perfect post-Super Bowl Sunday surprise. 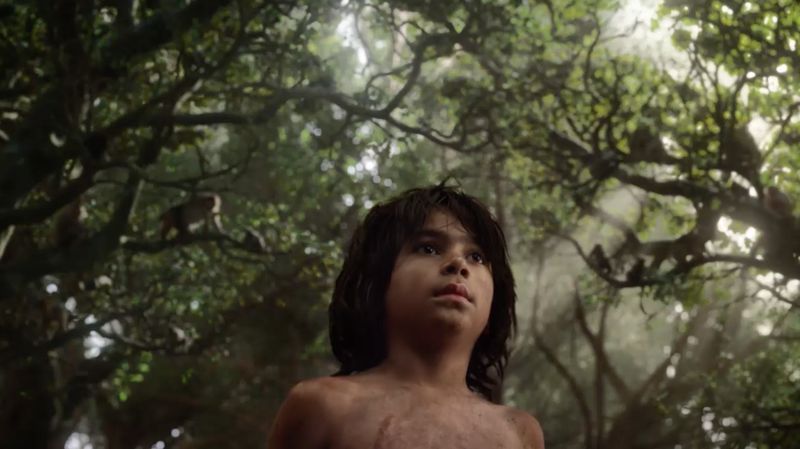 The other spot, the fruit of a cross-promotion with Disney's The Jungle Book film, speaks exclusively through a CGI-rich live-action reimagining of Rudyard Kipling's classic tale of Mowgli, who cavorts wildly with his jungle buddies—before Airbnb punts you $100 off all treehouses! Because if you've never dreamed of living in a treehouse, even as an adult, you don't get to be our friend. "The diversity of homes on the Airbnb platform is unrivaled," Airbnb's CMO Jonathan Mildenhall tells Adweek. "In this campaign, we put the spotlight on some of the more unusual accommodations like treehouses, islands, ski chalets and beachside homes that travelers really love." He adds: "Our partnership with Disney captivates the deep connection between both brands. This flagship film marks the perfect beginning of an exciting partnership. There is no better way to live the epic adventure in The Jungle Book than a magical treehouse experience on Airbnb. This film leans directly into this creative insight." Both ads, conceived by TBWA\Chiat\Day, come in :15 and :30 variants and go live today. Over the course of the next few months, they'll be accompanied by seasonal content about people living out various passions—be they surfing, skiing or just lying back beachside. Expect to see them internationally in theatres and across digital supports. What's cool about this collection, which builds on the back of recent non-corporate stories like the Netflix and Chill apartment or even that post-snowstorm igloo number that Airbnb wasn't so crazy about, is that it puts the "Dream it, live it" narrative back into Airbnb's hands. If the brand unlocks the popular imagination, it isn't just because it provides a "local" alternative to hotels; it's also because time has blessed it with an accumulation of exceptional rental experiences that actually empower users to inhabit spaces once consigned to fantasy (and brought to you by Disney—"Swiss Family Robinson," anybody? )—or limited to people like Sting. Think of it as the Uberization of adventure … and non-stop envy fodder for your insatiable Instagram account. Where will you go—what could you live—next?